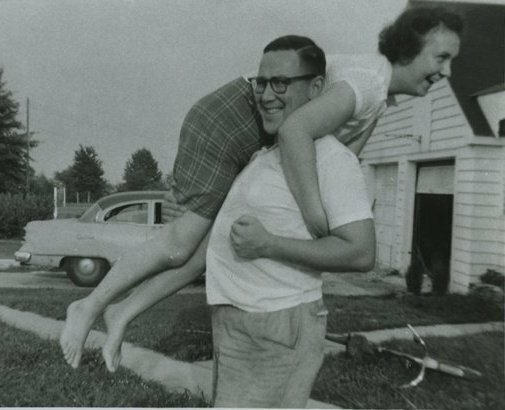 Taken around 1956, my grandparents Chuck and Jean Lowry are goofing off as usual. These are two of my favorite photos of my grandparents. I never looked at the two photos together until just this morning when I realized they were wearing the same outfit and thus, these photos were most likely taken on the same day. 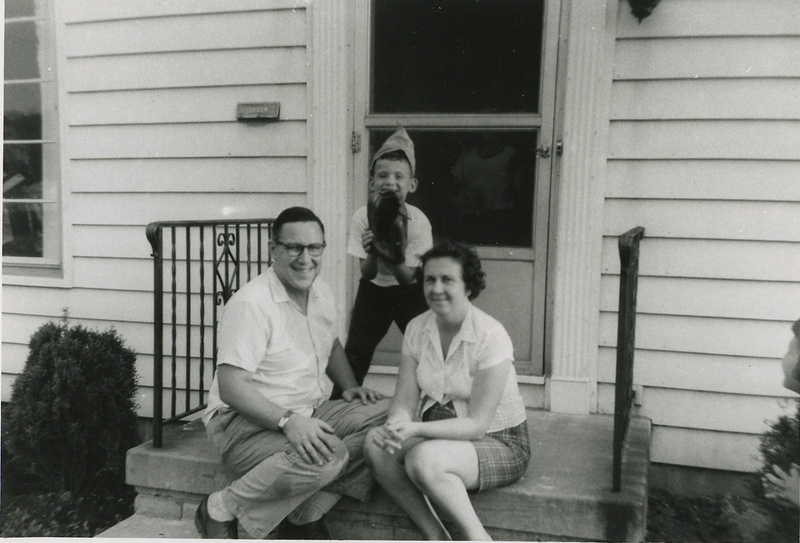 My dad, Pat Lowry, is the kid on the porch. One of his brothers or sisters is on the other side of the screen door. ← Military Monday: Charles J. Lowry Wounded! I love it! It's awesome to see they were so happy. I have photos similar to these for my great-grandparents. Thanks for sharing! Thanks for the comment, Heather! You have an awesome blog. I've bookmarked it and plan to be a regular visitor.